If you want a proposal specific for your wedding get in touch here. 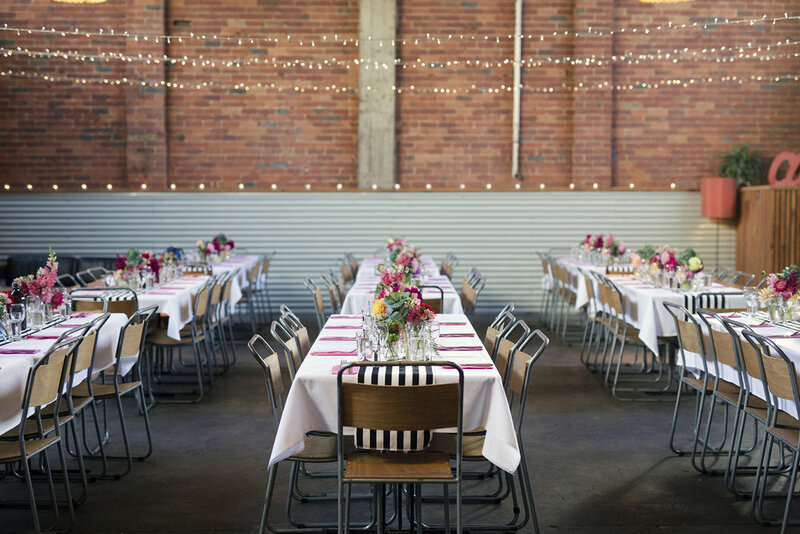 We can help with all the essentials you'll need for your wedding, such as food, bar service, staffing, tables, linen, festoon lighting and ceremony chairs. Other things that really factor in are the menu your choose, the facilities available at your venue and how many staff we need to carry off your wedding. The end price really can vary depending on how you choose to celebrate, so please use this as a guide, and come for a look around so we can develop a proposal specific to you. Melbourne venues range a lot, but the minimum most charge is around the $1500 mark, with many coming in between $2500 - $4000. The venue hire is charged direct by the venue (even at the Farm - we're actually a separate business to the Children's Farm) but we can organise this for you. 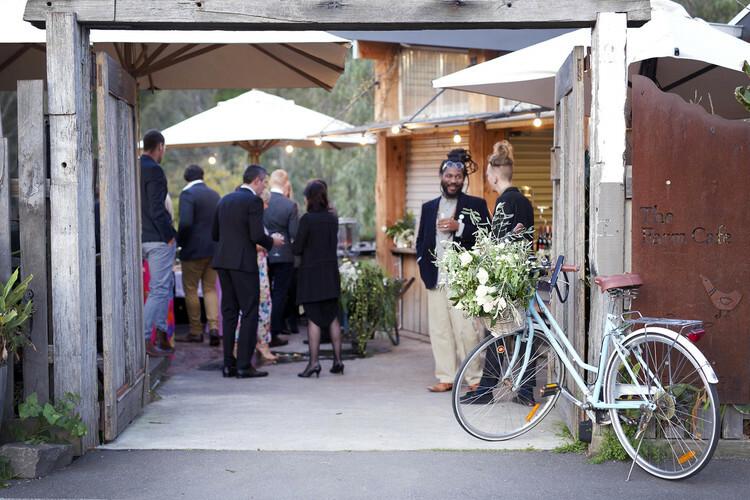 We hold many of our events at the Collingwood Children's Farm, but we also work at lots of interesting venues around Melbourne. We're happy to help you hunt for the perfect venue and we're experts at finding hidden gems. For information about venue fees please let us know which venue you are most interested in and we'll get accurate pricing for you. Once we've met with you, we'll put together a proposal that shows you exactly the staffing that we're going to charge you for. Our staff take care of everything on the day, from setting up furniture at the venue to bar and food service, styling and pack down. You will also get your own Event Planner who takes care of you in the planning phase and manages everything on the day like coordinating your vendors and ensuring everything runs smoothly. The amount of staff needed varies a lot from venue to venue and also depends on your menu choice and guest numbers. A rough estimate for staff costs are between $2000 - $3500. We offer three menus to select from from our kitchen. Depending on the style of service, we'll quote between $82 and $89 for a 3 course menu. This price includes your plates, cutlery, platters, serving ware & a few vintage styling items to go along with it. You can read about our food here and see sample menus here, (this also explains the cost differences) however for every wedding part of our service is to allow you to make tweaks and changes to suit your event and crowd. We love the creative aspect and we want you to love your menu, not feel like you have to compromise. We offer three options for your drinks side of things. We have a BYO package at $25 per head, a classic package at $55 per head and a premium at $65 per head. All packages will last you the whole night. Our BYO offers couples the chance to make the bar their own by selecting the alcohol they want to drink. Our beverage packages take the stress out of ordering enough alcohol for every man and his dog for your day. We have crafted a seriously good list of Aussie wines and beers for you to choose from. Please send us an enquiry to see our options. We have a furniture and styling equipment collection that we rent out and we also deal with some of Melbourne's best suppliers. 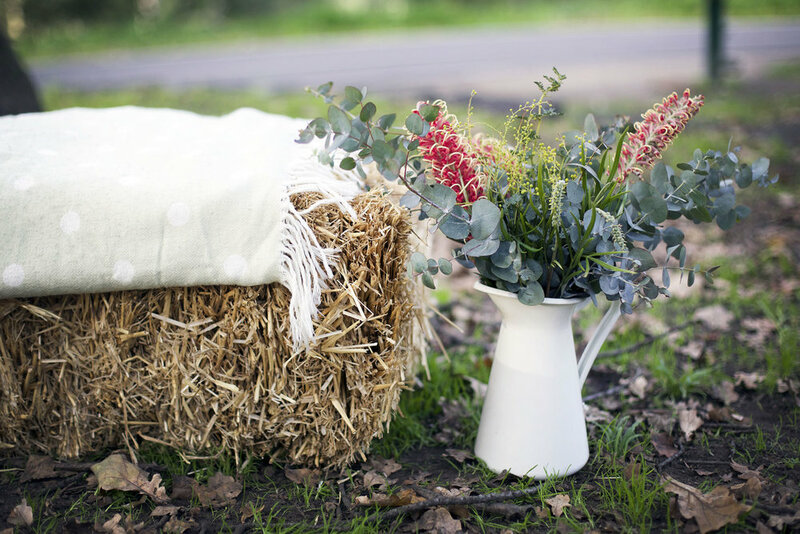 We can recommend linen hire, furniture, florists, prop hire and lighting. The amount you need to budget for can vary massively depending on your wants and needs for the day.